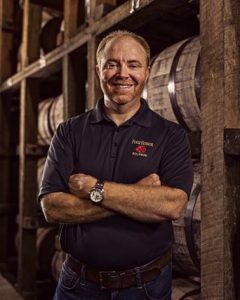 May 19, 2016 – Brent Elliott took over for longtime Four Roses Master Distiller Jim Rutledge last September, but he’s still getting used to some of the limelight that shone on his mentor for many years. However, he’s already had one moment that Rutledge never faced. “It took a lot of convincing for me to be comfortable with it and agree to have my big smiling head on the side of a bottle,” Elliott laughed during a phone interview. 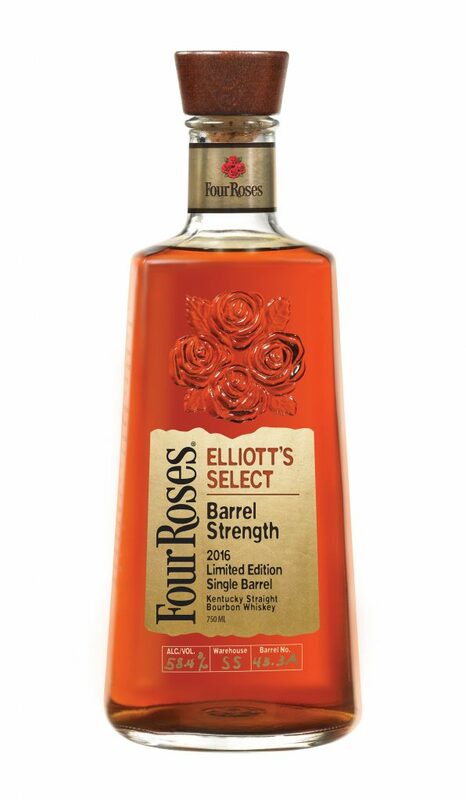 His face appears on the bottle of Four Roses Elliott’s Select, a 14-year-old limited-edition single barrel Bourbon to be available at retailers starting in June. While Jim Rutledge’s face never appeared on a bottle during his 49 years at the distillery, Four Roses released a limited-edition single barrel in 2007 to honor his 40th anniversary at the distillery. In fact, the casks that went into Elliott’s Select were originally destined for blending into a Four Roses Small Batch bottling to honor what would have been Rutledge’s 50th anniversary this year. Rutledge nixed the idea for that commemorative bottling when he announced his retirement, and the unveiling of Elliott’s Select comes just weeks after Rutledge announced plans to build a new distillery near Louisville that will carry his name. “I had all these samples sitting there like that, and said well, it’s fun looking at those, but we really have nothing to do with them, and then the idea of a possible Elliott’s Select or a commemorative bottle for me came up,” Elliott said, noting that the distillery’s marketing team came up with the idea as a way to introduce him as the new “face” of the distillery. Four Roses stopped the annual spring release of its Limited Edition Single Barrel Bourbon in 2014 because of inventory demands, but Elliott decided to take another look at the cask samples originally intended for the Rutledge anniversary edition. He found two batches with enough casks to justify doing a single barrel bottling: the 14-year-old OESK recipe and a slightly older OBSK recipe. The only difference between the two is the amount of rye used in the mashbill; OESK is made with 20% rye and 75% corn, while OBSK is made with 35% rye and 60% corn. After that, Elliott met with the Four Roses marketing team. “If you guys really want to do a Single Barrel to keep it consistent with what we’ve done in the past – a Single Barrel in the spring and a Small Batch in the fall – there is a batch that we can make this happen,” he told them. The casks produced enough whiskey for approximately 8,000 bottles that will carry a recommended retail price of around $125 per bottle. 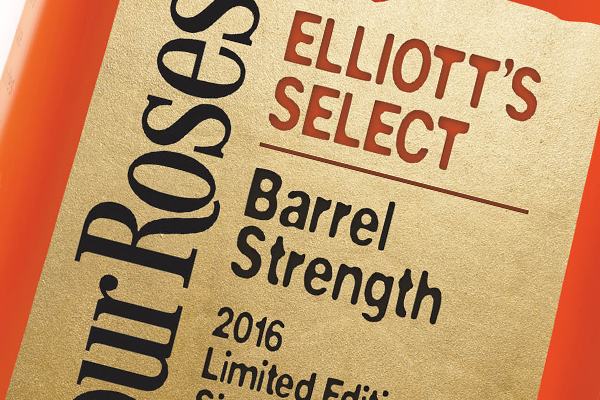 Four Roses has confirmed there are no plans to export Elliott’s Select outside of the USA. Tasting notes for Four Roses Elliott’s Select will be available soon at WhiskyCast.com. Editor’s note: This story was updated to include additional information provided by Four Roses that Elliott’s Select will only be sold in the United States.